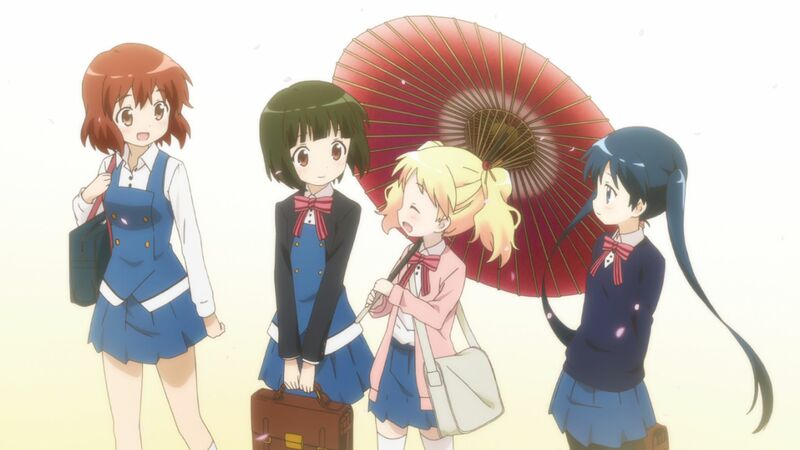 Those hoping to continue the story of Alice and Karen in Kiniro Mosaic – Season 2, otherwise known as Hello! Kinmoza! – Season 2, will be disappointed to learn that the series has ‘once again’ been pushed back; this time until the 2nd July 2018. The series was originally expected to be released during late 2017, several months after the previous Season 1 release, but it was later moved to early 2018, which was eventually listed as 2nd April 2018 on most retailers including Amazon UK. A recent announcement on social media has now revealed that the series will be released on the 2nd July 2018. Due to unforeseen circumstances, Hello! Kinmoza will not be ready for release on 2nd April as previously listed. We sincerely apologise for any disappointment and frustration caused by this. It has now been rescheduled for 2nd July. We can expect Manga Entertainment UK to provide additional release details in the near future; but for the time being Hello! Kinmoza – Season 2 is scheduled for release on the 2nd July 2018.